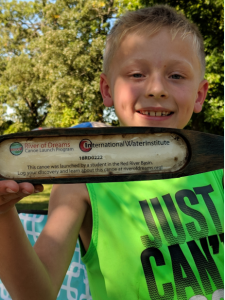 With hundreds of canoes now launched annually, reports of River of Dreams canoe sightings are becoming more commonplace, averaging several per week during ice-free months. From discoveries reported near the original launch site, to those popping up after years of silence hundreds of miles downstream, checking these reports is an enjoyable weekly task for IWI staff. Over the course of this past summer, we’ve received reports from most of our 2018 launch sites and a number from launches in previous years. 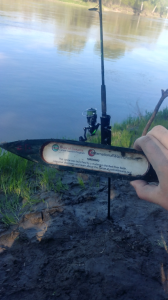 Among the people reporting these finds have been fishermen/women, canoeists, people walking along river banks, MN DOT crews, Conservation Corpsmembers, and Manitoba Public Works employees. 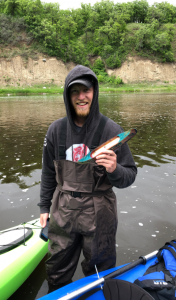 A dedicated duo of paddlers, S. Petterson and P. Arlaud, have found dozens of Clearbrook-Gonvick canoes on the Clearwater River. 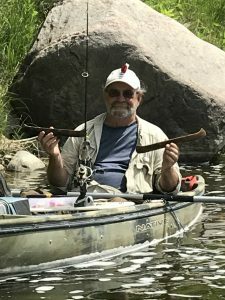 Teachers, IWI staff, and those aware of launches have helped give many other canoes a jump start, freeing them from debris snags immediately downstream of launches. Some of the most interesting reports are highlighted below with pictures. At launch, the canoe looked quite a bit different than when Adam found it. Take a guess which photo below is from pre-launch and which one was reported by Adam. 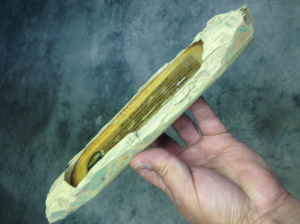 This canoe has taken a beating on the mighty Red River, but you can still see traces of the original decoration and color scheme, and the ID is still intact and visible. Perhaps it is in such rough shape because it was caught on the high side of the dam for an extended period of time? Or, did a beaver somewhere along the way – from the Buffalo River to the Red River, through Grand Forks, and across the Canadian border, through Winnipeg and up to Lockport – take a few chunks out? 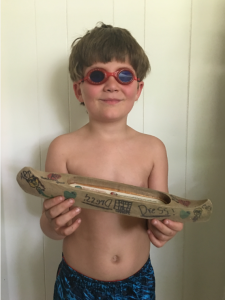 While the story hasn’t gone exactly as envisioned by the student, at least one of the original dreams are now within the canoe’s grasp. North of Lockport, Selkirk is the last city on the Red River before it flows into Lake Winnipeg, and only the canoe could tell us all the experiences it has had floating the Red River over the past 16 months. Canoe IDs 18RD0227 and 18RD0222 were discovered by Emily and Austin while exploring the river at Buffalo River State Park. The canoes were stuck on rocks, and had only traveled around a mile from the launch upstream in the park. Thanks to these reports, we know that the canoes are now moving downstream and out of the park. 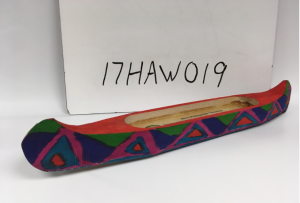 This canoe, launched by a student from East Grand Forks Sacred Heart earlier this spring, was reported north of Oslo, MN, in mid-August by Bradley. 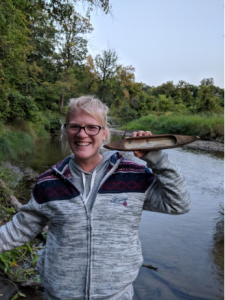 According to the canoe’s discoverer, the canoe was caught at a snag in the river, but he took a picture and sent it back on its way, apparently after sharing the find with friends via Snapchat. 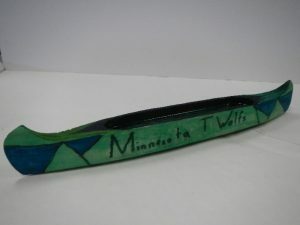 The canoe’s student must be a big Minnesota Timberwolves fan. 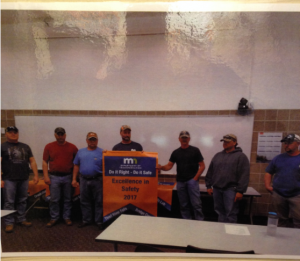 A sighting was reported downstream from Red Lake Falls, MN by Jim, who was out for a paddle trip. 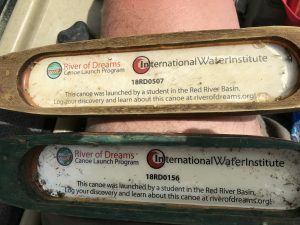 Interestingly, one of these canoes was launched by a student from Red Lake Falls and the other was launched by a Win-E-Mac student on separate days from the same location on the Clearwater River. Apparently they banded together for their journey! 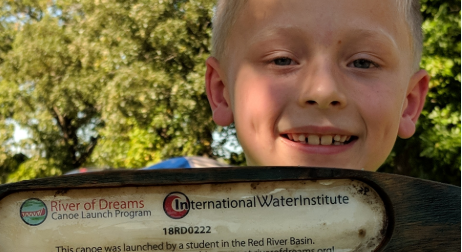 Found west of Fertile, MN, downstream from its launch site at the Agassiz Environmental Learning Center by Liam & Rachel. Found downstream of Red Lake Falls on the Red Lake River. 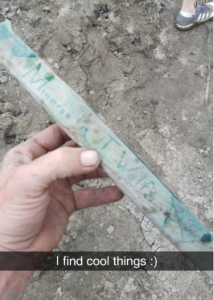 Found by Tom E while catfishing on the Red River in Grand Forks.